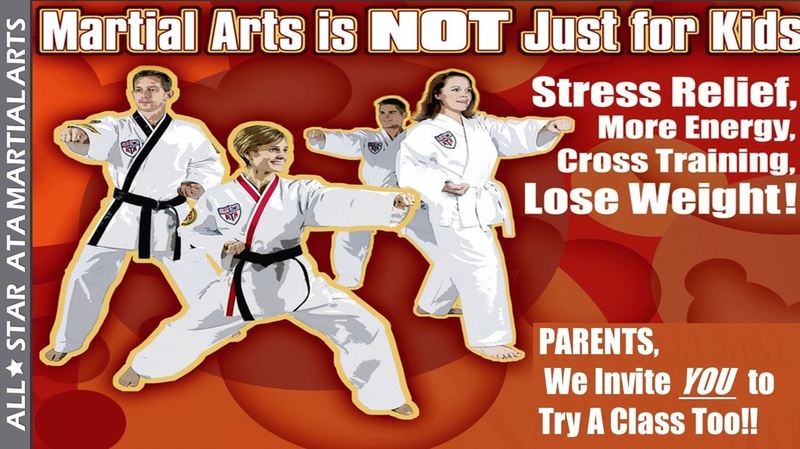 We are members of the American Taekwondo Association, the largest martial arts organization in existence, with over 2000 schools and 300,000 members worldwide. All of our programs are founded upon years of research and development as well as practical application by ATA member schools and Masters. We focus on the complete personal development of each student, by providing group and individual instruction. We believe in building self-confidence and self-esteem through our instruction. Individual attention is a feature of every class, allowing all students to progress with confidence toward their personal goals. Students are trained to the best of their own ability. We also pride ourselves with instructing those with special needs. Their physical condition as well as personal habits and behavior are taken into consideration when setting goals and milestones in their programs as they work towards their Black Belt. Members of our academy range in age from 3 years old and up. Students range in background and ability, including those who are looking to begin an exercise program, as well as those who have participated in professional sports. With a strong focus on concentration and awareness instructors are preparing a karate kid for their school years. Teachers and parents see it as necessary in the classroom at children’s schools, at home and in social settings. Consider memorization – Midtown All Star ATA Martial Arts classes teach students to memorize the form or technique and quality within the martial arts. This helps children learn memorization skills essential for school academics and becoming a well rounded student in the near future. SIGN UP NOW FOR ONE FREE CLASS! We are proud to be Partners in Prevention of Child Sexual Abuse.